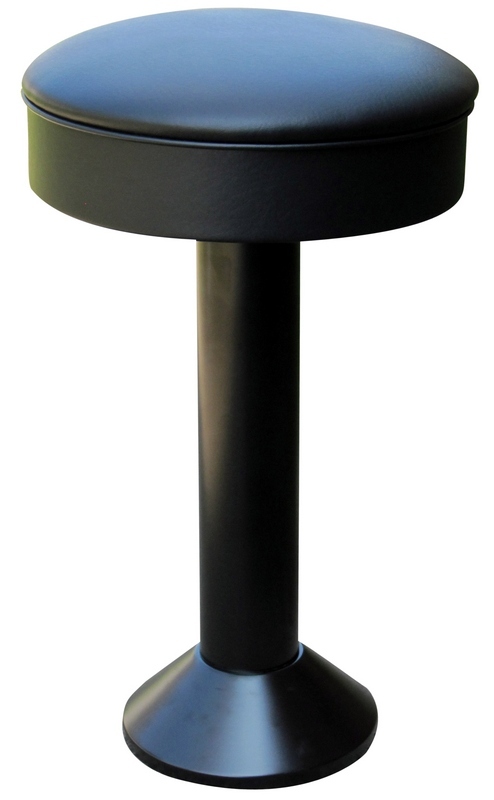 Our mounted stools with back come with a custom-machined 360 degree swivel. 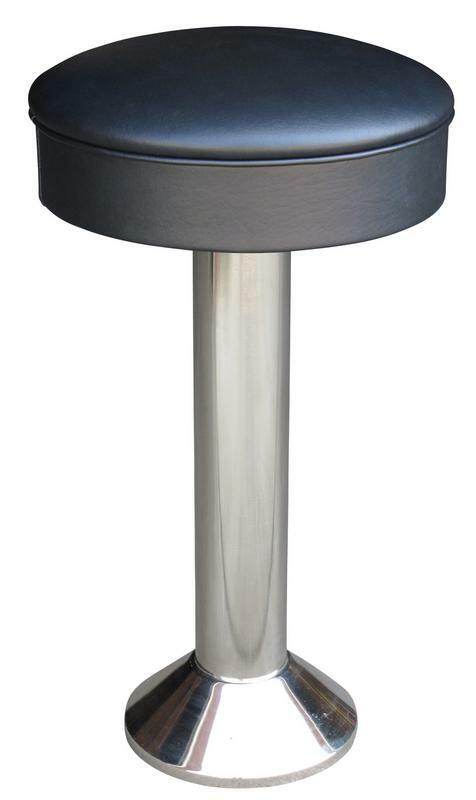 Our Soda Fountain Stools are manufactured in the USA. For more details, please send us an email or give us a call. Product DImensions: 14.5" x 14.5" x 18"-30"